Please CLICK HERE to be directed to the official website of Villa on Bisma Ubud. Breakfast daily, unlimited mineral water, coffee and tea, air con, Indovision satellite TV, free WiFi, private plunge pool and room/pool service from Kopi on Bisma coffee shop (5% discount card). Please note that all rates, goods and services are subject to 10% Government Tax and 5% Service Fee. To View our TERMS & CONDITIONS...please CLICK HERE. Please click on the Book Now button above to be redirected to check availability, rates and book directly with us, thankyou. Tucked behind our cafe Gluten Free on Bisma right on Bisma street sits Villa on Bisma, a beautiful one bedroom villa hideaway. It comes with private amenities and plunge pool to soak away the daily stresses and to rejuvenate your soul. Jalan Bisma is in the town centre of idyllic Ubud where you can stroll around the streets and explore the area with ease. An ideal retreat for singles and couples wishing to be close to everything yet after the hustle and bustle of exploring, you can sit back, relax and enjoy a glass of wine or a coffee next to a gorgeous plunge pool. Boasting tasteful living areas, kitchen, a large well appointed bedroom and bathroom upstairs, this villa has everything you require to make your stay an enjoyable one. 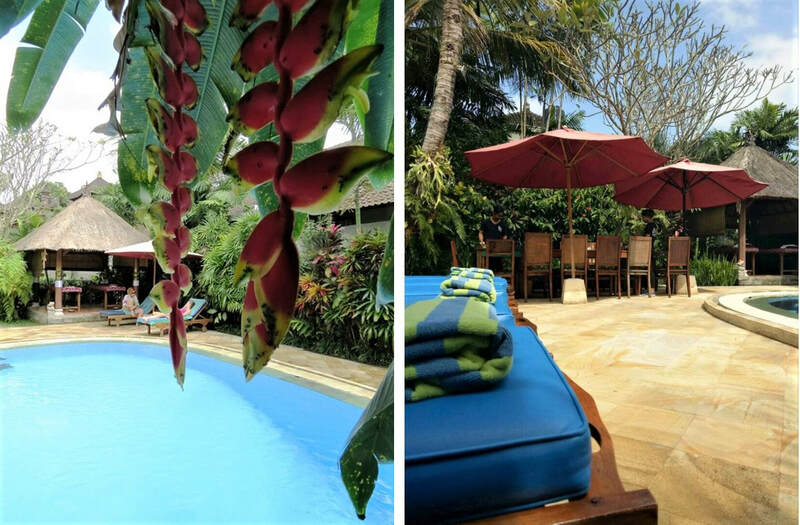 Villa on Bisma is managed by Sama's Cottages Ubud and you can enjoy all the facilities that Sama's have including spa & beauty treatments, spa products, room service and the friendly staff will cater to your every need, CLICK HERE to view our rates.